If we talk about the different ways of promoting a business in the contemporary era, they are so many that when it comes to choosing any one of them, you will be spoilt for choice! Among these different effective ways, Bulk SMS is increasingly topping its excellence because of it being the most cost-effective and the cheapest form of marketing a business successfully. The bulging growth of Bulk SMS on the international basis is driven by its success as a key marketing channel. Let us take an example to understand the mechanism of Bulk SMS Service . A customer has granted you his/her consent to send them a concise Bulk SMS message whenever you have some new product/services or any other exciting offer to put across your targeted audiences. The message is delivered in a few winks to that customer’s mobile phone and while the permission has been granted, the message is more welcomed than other varied forms of marketing; the promotion is followed up on. Welcome New Customers:It is a great idea to send a text message to your targeted audiences with an appealing welcoming message to ensure how much interested you are in them and will also showcase your high-grade level of customer service to them. More significantly, if a customer has signed up to receive your business newsletter or opted in himself/herself to your SMS marketing list, do apprise them that their inputs have been received and their interest in the company is cherished. Give Discount Offers: Giving discount offers via SMS is a very effective approach since the readability rate of SMS by customers than the emails is relatively higher. Mobile Coupon Redemption: Coupons delivered via SMS have the redemption rates ten times higher than the printed coupons. Send Festival Greeting SMS: The festive season is the high time when people are typically engaged in shopping and sending the festive greeting SMS. This specific time will certainly bring your targeted customers to your shop again. Using links to promote your online presence: It is a very good idea to add links in SMS messages in order to spur your customers to look at your site and view the seasonal promotions, new products, and other features. These are just five remarkable ways through which turning around the business sales is effectively possible. 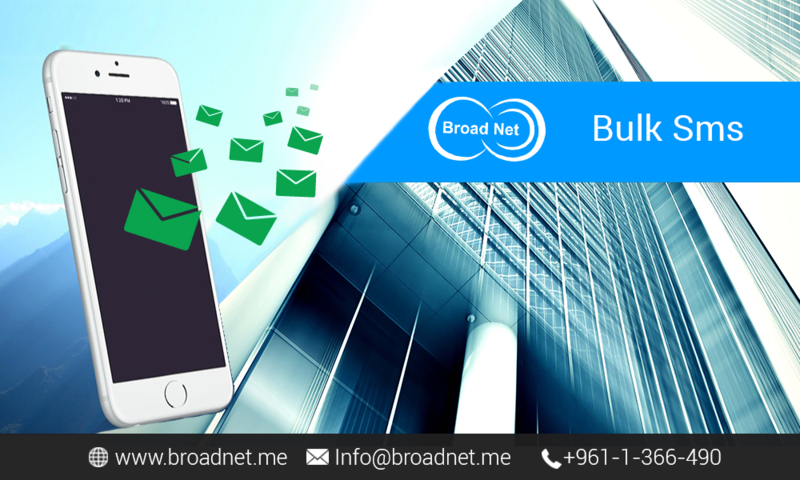 Bulk SMS Marketing by BroadNet Technologies is guaranteed to offer you a maximum return on investment than any other form of marketing.